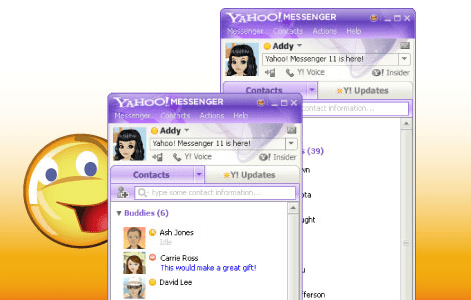 The latest version of Yahoo Messenger with voice capabilities is a step up from the already impressive older versions, and a must-download for regular users of YIM. The most notable update is the integration of messaging services with Windows Live, a process that allows you to add Windows Live users as simply as your Yahoo buddies. While this new feature isn’t nearly as interoperable as Trillian, the plus side is users can still enjoy the lively emoticons and avatars, the extensive plug-in library to which developers can contribute, and VoIP services exclusive to the Yahoo experience. We could live without the all-consuming corporate sponsorship of the IMVironments and the heavy-handed branding in the avatar section (who uses those, anyway? ), and it would be nice to see a link to hidden smileys in the emoticon drop-down, but these are minor niggles when weighed against the benefits of a user-friendly, feature-rich chat client that just continues to improve.